Gion Matsuri is a festival for the people, by the people. 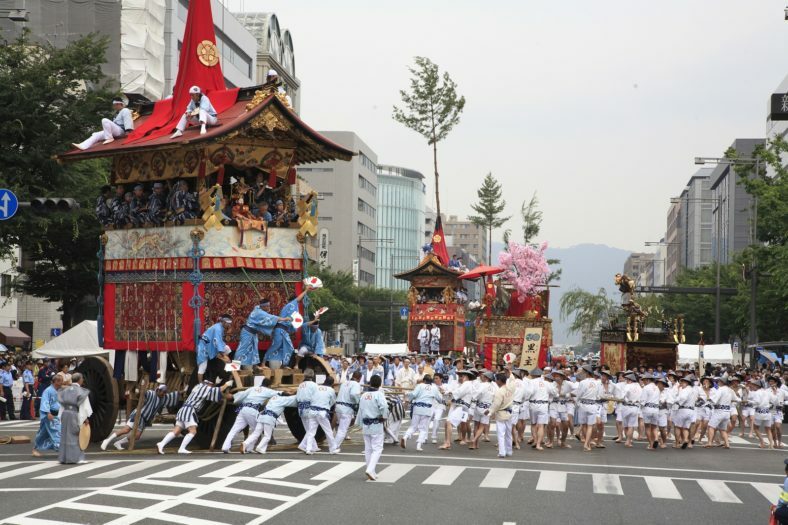 Named after Yasaka Shrine (known locally as Gion-sha) in the Gion District of Kyoto, it is said to be the oldest continuous urban festival in the world and one of the largest and most elaborate in Japan. 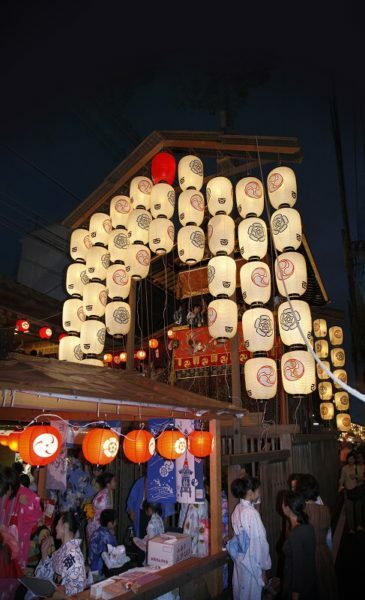 Gion Matsuri is more than a thousand years old and has been held in Kyoto, Japan since the year 869. 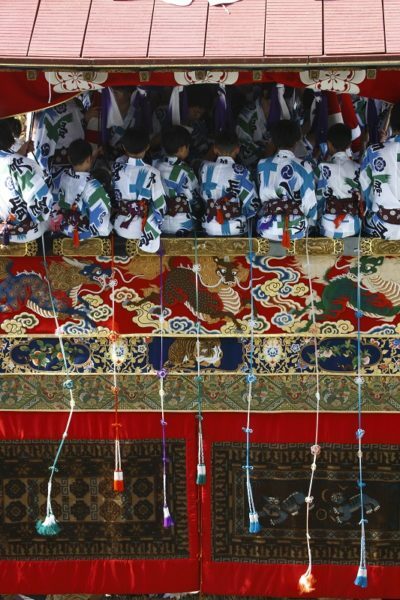 Originally held to appease the gods and scare away the plague during an epidemic, it continues to be a colorful and vibrant celebration that takes over the streets of downtown Kyoto each year. Come see the Ayagasa-boko float on view now in the Portland Japanese Garden‘s Pavilion. 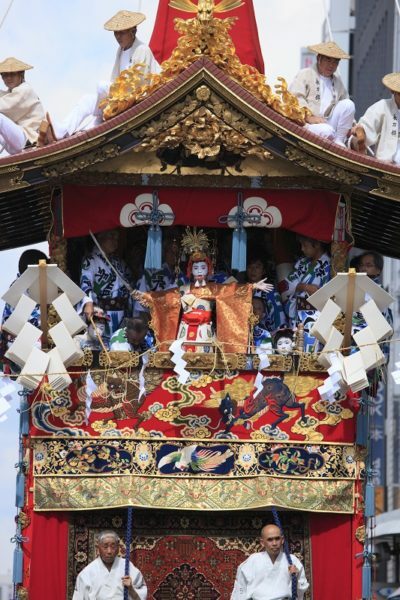 The festival float was shipped across the Pacific Ocean for the very first time and this exhibition is the first time it has ever been on display outside of Japan. 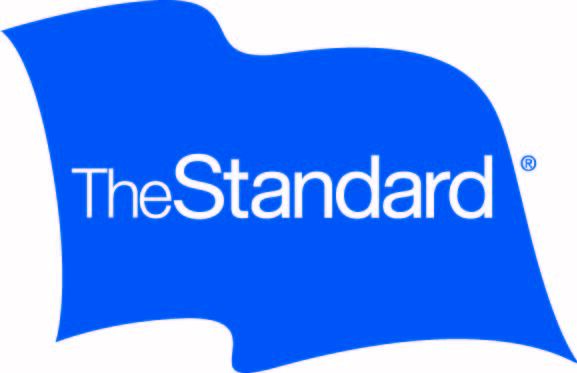 This exhibition features photographs by one of Kyoto’s top photographers, which will grace the Pavilion and Tanabe Galleries.